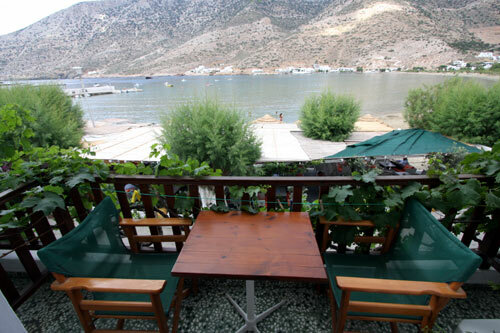 Hotel Stavros is located in the centre of the village of Kamares just 20 metres from the sea. All the rooms have sea view balconies with stunning views over the bay of Kamares and the surrounding mountains. We can offer interconnecting rooms for families and two bedroomed apartment with a fully equipped kitchen for up 6 people. Each room contains the following facilities. Hotel Stavros also provides car rental, internet services and traditional Cycladic style apartments for rent in the village of Apollonia. We are happy to share our local knowledge of Sifnos to ensure your stay is an enjoyable one. Είστε ιδιοκτήτης ή διευθυντής στο STAVROS HOTEL; Εγγραφείτε τώρα για δωρεάν εργαλεία, που μπορείτε να χρησιμοποιήσετε για να βελτιώσετε την καταχώρησή σας και να συνδέσετε την ιστοσελίδα σας και το σύστημα κρατήσεών σας.